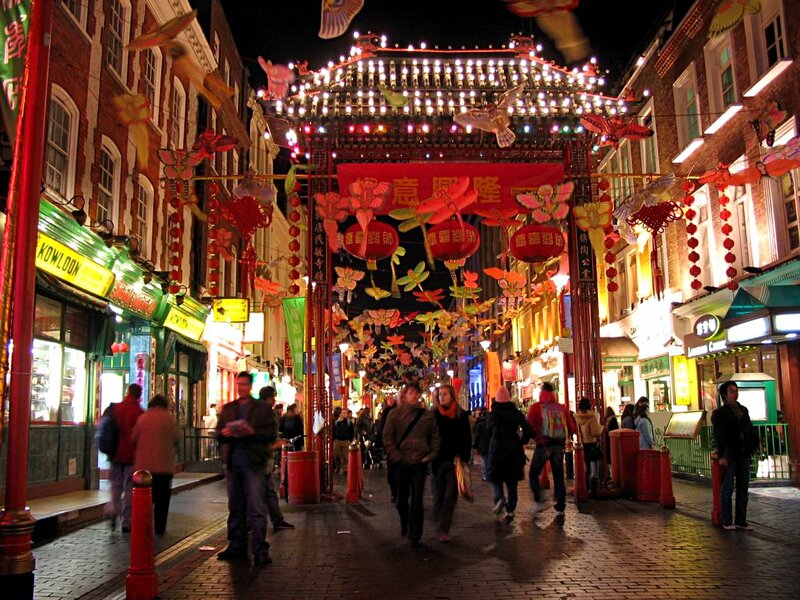 Lunar New Year, Chinese New Year, or Spring Festival is the most important of the traditional Asian holidays. Lunar New Year is the longest and most important festivity in the Chinese and other Asian contries’ Lunar Calendar which includes China, Korea, Tibet, Japan, Mongolia, Vietnam, etc. Within China, regional customs and traditions concerning the celebration of the Chinese new year vary widely. People will pour out their money to buy presents, decoration, material, food, and clothing. It is also the tradition that every family thoroughly cleans the house to sweep away any ill-fortune in hopes to make way for good incoming luck. Windows and doors will be decorated with red colour paper-cuts and couplets with popular themes of “happiness”, “wealth”, and “longevity”. On the Eve of Chinese New Year, supper is a feast with families. Food will include such items as pigs, ducks, chicken and sweet delicacies. The family will end the night with firecrackers. Early the next morning, children will greet their parents by wishing them a healthy and happy new year, and receive money in red paper envelopes. The Chinese New Year tradition is a great way to reconcile; forgetting all grudges, and sincerely wish peace and happiness for everyone. Korean New Year, commonly known as Seollal (Hangul: 설날; RR: Seollal; MR: Sǒllal), is the first day of the lunar calendar. It is the most important of the traditional Korean holidays. It consists of a period of celebrations, starting on New Year’s Day. The Korean also celebrate solar New Year’s Day on January 1 each year, following the Gregorian Calendar. The Korean New Year holidays last three days, and is considered a more important holiday than the solar New Year’s Day. Many Koreans greet the New Year (both Western and lunar) by visiting East coast locations such as Gangneung and Donghae in Gangwon province, where they are most likely to see the first rays of the New Year’s sun. Sebae is a traditionally observed activity on Seollal, and is filial-piety-oriented. Children wish their elders (grandparents, aunts and uncles, parents) a happy new year by performing one deep traditional bow (rites with more than one bow involved are usually for the dead) and the words saehae bok manhi badeuseyo (Hangul: 새해 복 많이 받으세요) which translates to please receive many blessings in the new year. Parents typically reward this gesture by giving their children new year’s money (usually in the form of crisp paper money) and offering words of wisdom, or deokdam. Historically, parents gave out rice cakes (ddeok) and fruit to their children instead. Many traditional games are associated with the Korean New Year. The traditional family board game Yutnori(윷놀이) is still a popular pastime. 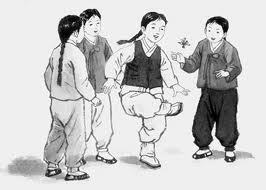 Traditionally men and boys would fly kites and play jegi chagi (제기차기), a game where a light object is wrapped in paper or cloth, and then kicked in a footbag like manner. Korean women and girls would have traditionally played neolttwigi (널뛰기), a game of jumping on a seesaw (시소), while children spun paengi (팽이).